We believe that strong public schools are a critical part of a healthy and vibrant community. 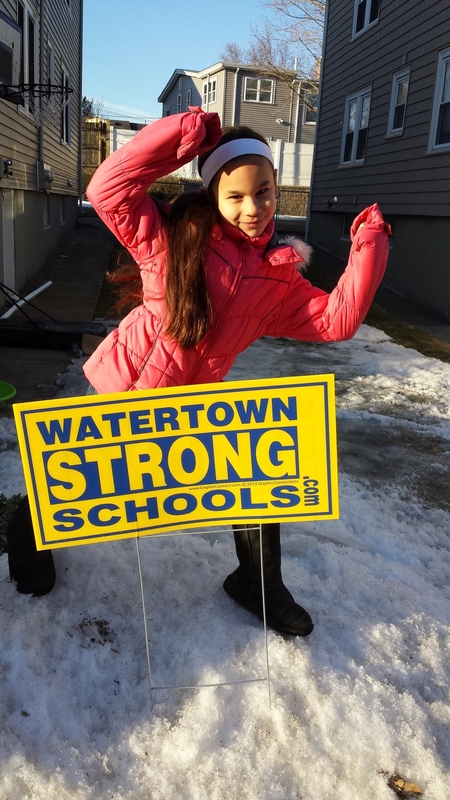 We are an independent group of citizens - our purpose is to understand, support, and advocate for our public schools to ensure that all Watertown children have the opportunity to fulfill their potential. There are so many ways you can get involved. Start by reading our newsletter. If you want, come to a meeting, take our survey, get a lawn sign. We are parents and other adults participating in the process of ensuring all of our kids get the education they need. Join us!